REVIEW – Casey Jones Rides Vanity by Marion Holland. My edition: Hardback ex-lib, Little, Brown, and Company 1964. Set in the United States. Katherine Corinne “Casey” Jones is outgrowing her beloved 13-hand pony, Top Notch. At a local show she falls for a golden dun mare named Vanity Fair. When the mare’s owner takes a tumble Casey has a chance to care for Vanity. But what will become of Top Notch? IN A NUTSHELL (NO SPOILERS): Marion Holland has written a nonsentimental and funny yet deeply satisfying story touching on issues of maturity and change (Does growing up have to equal loss of interest in horses? ), family relationships (Can one sister teach another about riding and true horsemanship? ), and love and responsibility for animals. Although Holland is not quite so dryly humorous as, say, Joanna Cannan, she offers up plenty of funny moments, especially when Casey interacts with her friends, who include Diane riding in her jeans and oxfords on the family carthorse and Joe on Marcus Aurelius Antoninus, a “Roman-nosed pony with a philosophical disposition.” How Casey finds a way to balance her attachment to Top Notch, realizing that he’s too young to become a pasture pet even if her parents would relent on their stricture that she can’t have two horses, with her need for a larger mount and her growing infatuation with Vanity Fair make for a touching read. And although the ultimate outcome is predictable, the particular ways in which Casey solves her dilemmas both independently and with help from friends and family captivate the reader. One of the things I enjoyed most about the story was Holland’s tone, which deals with emotional issues without becoming fraught or maudlin. I also really like the way she fleshes out the complexities of problems, people, and relationships. Casey is dealing with some pretty heartfelt dilemmas, particularly her situation with Top Notch. She loves the young 13-hand pony but has outgrown him. And her parents have said she can’t have a horse and still keep Top. Casey is willing to keep Top anyway because she loves him and he’s one of the family, but part of her also thinks it would be a waste for him to become a pasture ornament at age 6. Another situation handled in some depth is Casey’s growing love for Vanity Fair and her respect and liking for Vanity’s owner, a college student named Marianna. Marianna still loves and cares for Vanity, but as she has grown other interests have captured her attention. But unlike what would happen in most pony stories of today, it isn’t boys that have distracted Marianna from horses and showing but – drumroll – her academic studies. Marianna has developed a serious interest in the French language and French culture and has spent the last few semesters dedicated to her coursework in a last-ditch attempt to qualify for a French exchange/study abroad program. Thus her energies were diverted from Vanity, who was left to the less-than-tender mercies of a callous teen hired by her grandparents to take care of the mare. The boy has terrified Vanity over jumps and she now goes into a panic when faced with one. Vanity’s terror results in Marianna’s fall and brief hospitalization, which leads to Casey taking over the mare’s care and riding – and the chance for Casey to get to know Marianna. Marianna is generous and kind and gently but firmly insists that Casey understand that Marianna once also declared that she would never care for anything but horses and riding. The reader is given the impression, though, that Casey’s love for horses will not change, thus providing positive models for both “horsey” and “nonhorsey” life choices. Vanity's fear issues also mean that Casey's dream horse is far from perfect and comes with plenty of problems to face. Another aspect of the book I admired was the emphasis on having ponies for their own sake, and not just as vehicles to win prizes. When the book opens Casey is looking forward to the day’s local show with delight because, as she explains to Joe, all the “million-dollar stable” entries will be at a nearby rated show, leaving them to have “just a fun show.” And, of course, Casey outgrowing Top Notch would not even be an issue if she could take a less emotional, “practical” approach and sell him on with little remorse. “Sure, I guess so.” He took the reins from Casey. “Look, there must be some other little thing you’d like me to do while I’m about it,” observed Joe sarcastically. Written in 1964, the book does not have any of the “the middle class is stifling and social problems are rampant” themes of books like Patricia Leitch’s Jinny series or Barbara Holland’s “The Pony Problem” that would start appearing in the next decade. But as I’ve said the book does present issues that are complex at the personal level, and does so in an unsentimental but compelling way. Finally, the climactic sequence of the book requires Casey to call on a bit of daring and independence to keep Vanity safe, so there is a touch of adventure as well. 5 horseshoes. NOTE: I haven’t found a relationship between Marion Holland and Barbara Holland, or for that matter Isabelle Holland who wrote Perdita (a novel set in the horse show world), but I haven’t done any research beyond some quick yahoo searches. Further info/comment on these authors is welcomed! great review, rallycairn! 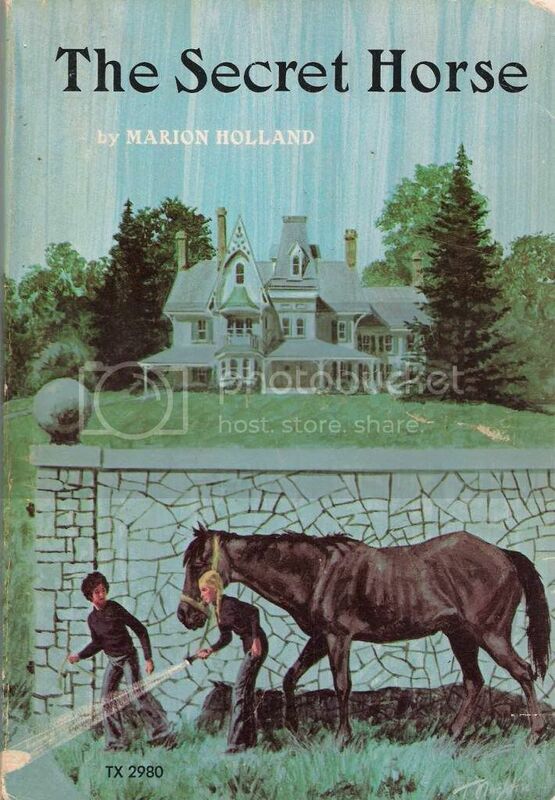 Holland is the author of one of my top faves from childhood, The Secret Horse, which is essentially a rescue/bit of adventure book...if you haven't come across it, I highly recommend it...set, more or less, in your neck of the woods too, in Maryland. Thank you for the comments, ladies! Claire, it's a good thing you like to read others' reviews, because as you can see I am very wordy! Susan, sounds like we had the opposite history with Marion Holland -- I only read Casey Jones and you The Secret Horse. 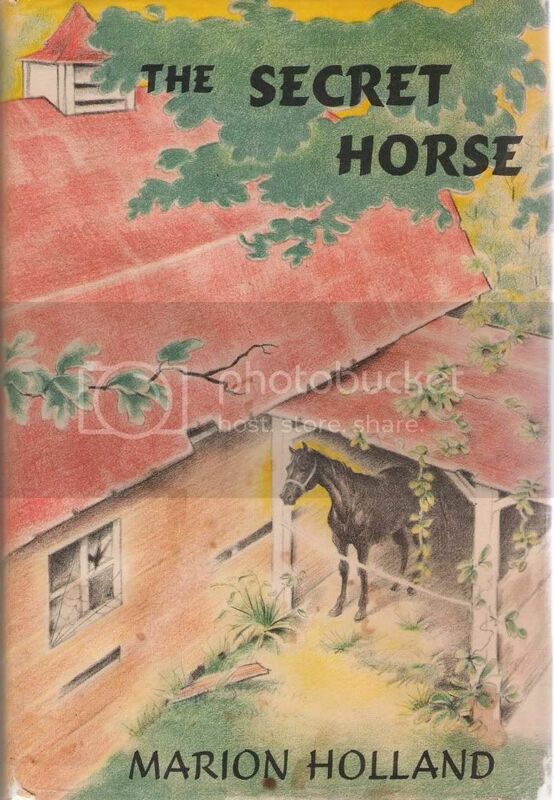 I will definitely include The Secret Horse in an abebooks order soon! Casey Jones was in my middle school library (don't really know what UK school form US middle school or junior high corresponds to, roughly ages 11 to 13 or 14) and I think I only read it once as a child, though I loved it, and it was among the ones I just _had_ to have when abe and alibris came into being. If you haven't yet come across The Pony Problem, definitely give it a try....it's very easily available and cheap.